Product prices and availability are accurate as of 2019-04-17 17:11:11 UTC and are subject to change. 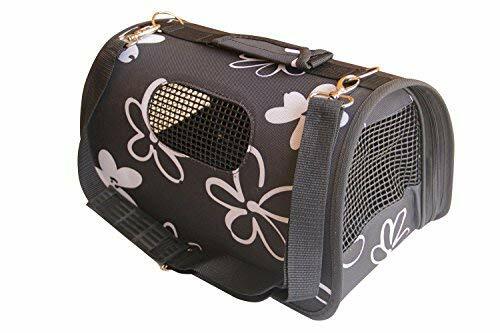 Any price and availability information displayed on http://www.amazon.co.uk/ at the time of purchase will apply to the purchase of this product.
. Carrier bag handbag for your pet.
. With Velcro in the pot and the shoulder strap, zipped entry, made with mesh. In the interior is a strap with a clip. The base is adapted to include towels or diapers for pets.
. Offers to all lovers of dogs and cats the opportunity to acquire the best quality for an unbeatable price. Whether for the home or for the trip is sure to find the perfect accessory for your pet. Well please be sure of the size of your pet before purchase. Due to the difference of the light and display, the colour of the item may be slightly different from the pictures. Normally in a package takes only a product.